Some folks have to work for it and some folks are just born with it. 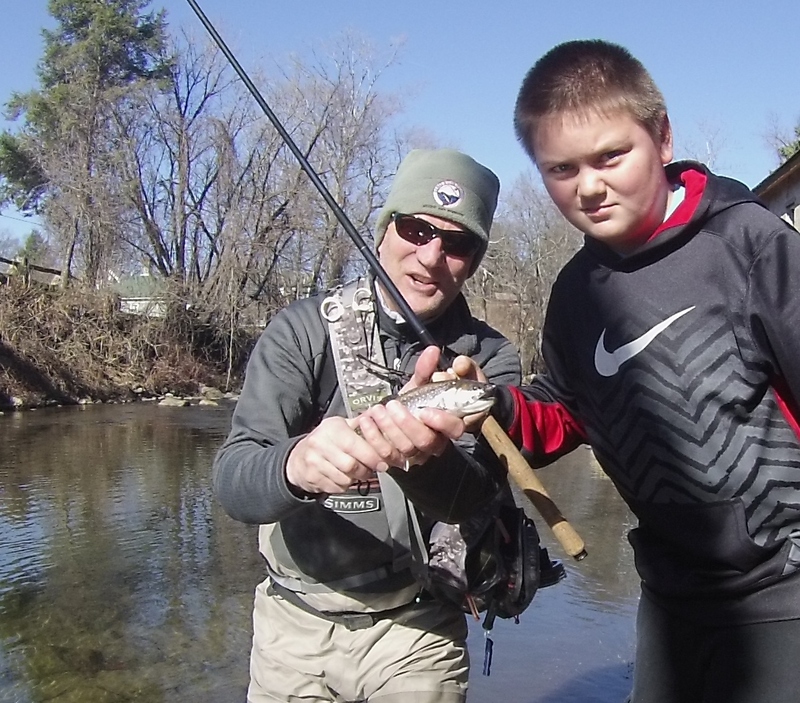 We were catching a few holiday rays and a few trout and ran into this very polite, young spin fisherman on the stream. He accepted an offer to try tenkara and immediately commenced to catching about a dozen nice Rainbows and Brookies, much to his, my, and his dad’s, delight. If you’ve never fly fished before, there is no better way to get started than tenkara. Try it! You’ll like it!